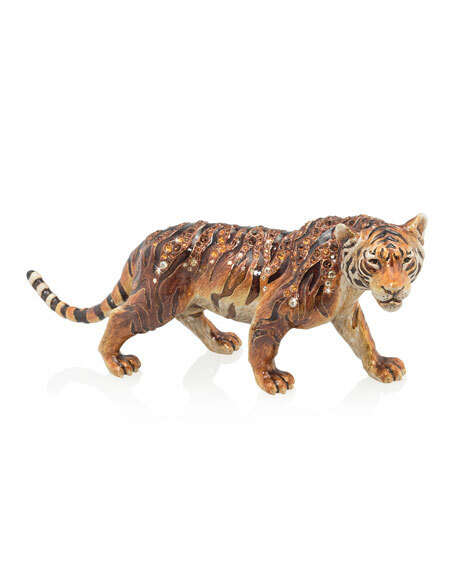 Handcrafted tiger figurine from the Jungle Collection. 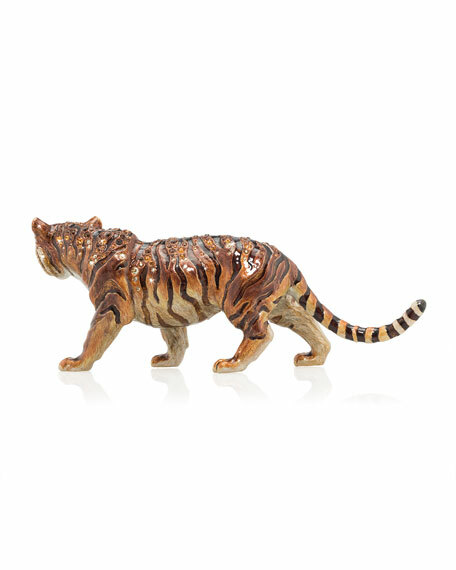 Hand-painted and embellished with Swarovski® crystals. Wood, wood composite, and aluminum.